Disposal of Furniture, Equipment & other unwanted items, which you no longer want to keep. You never know how much stuff you have until it comes to moving. We understand that our clients do not always have the space or desire to keep some items of furniture or certain belongings. We can take away the stress of disposing any unwanted items for you. We are licensed to legally dispose of them, or to deliver any unwanted goods to the charity, recycling centre, or any other destination of your choice. If you are downsizing your home by moving to a smaller property, please consider will the available space accommodate all your furniture etc. 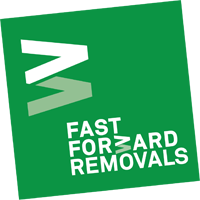 Call us and ask about our disposal service free today on 0800 45 49 53 one of our moving team can answer any questions or queries you may have. Please note: This service can be included within your removal quotation. Our moving team can help you plan and assist with the disposal, recycling or donation of your unwanted items. For example, identifying these items and removing them before moving day can reduce stress, give more space for packing & preparation, and save you valuable space on the removal vehicle. A great service – many thanks "I got your number from a friend who said you guys would provide a great service, and I must say he was right. So many thanks to everybody who worked on our move, and especially the staff in your office, who were always polite & helpful." The best way to find out what you really need, is to get rid what you don’t! "My thanks to your great team, they worked really well throughout the de-cluttering of our old large office. I just told a colleague who is thinking about it, the best way to find out what you really need, is to get rid what you don’t!